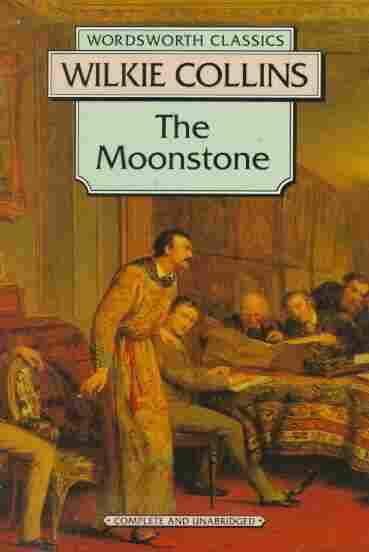 Book Review: 'The Moonstone,' By Wilkie Collins | A Hidden Gem Of A Detective Novel Wilkie Collins' The Moonstone is a sleuthing novel that was ahead of its time. 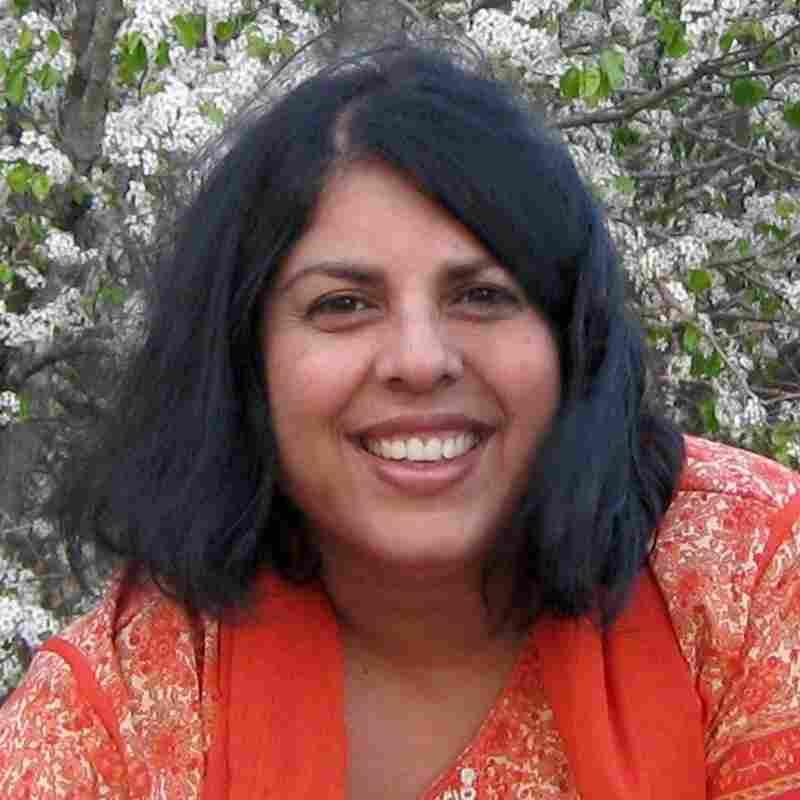 Chitra Banerjee Divakaruni's latest book is Oleander Girl. I was about 12 when I first encountered The Moonstone — or a Classics Illustrated version of it — digging through an old trunk in my grandfather's house on a rainy Bengali afternoon. I loved the Classics Illustrated series (the graphic novels of my youth that simplified famous novels for children), presenting us with swashbuckling plotlines, and heroes and villains that were unmistakably, unashamedly, what they were supposed to be. The Moonstone was all I could have hoped for. A mysterious, cursed jewel, wrested from India, only to be stolen later from a great British mansion. Enigmatic, dangerous priests who follow it across the ocean in hopes of wresting it back. A young, beautiful, rich and courageous heroine (who in my mind looked very like me). Deaths. Disappearances. Romance. Bungling policemen. A smart butler. And enough twists and turns to keep a reader on tenterhooks until a highly satisfying ending is delivered. I devoured it in a day, and thought back on it with pleasure over the years. So when I came across a copy of The Moonstone recently in a used bookstore, I picked it up at once — but surreptitiously. As a student of post-colonialism, I knew Wilkie Collins' portrayal of an exotic India (temples, turbaned priests, curses, magical jewels) was suspect. As a teacher of creative writing, I was dismissive of books that hinged upon plot. As a reader I was afraid that I would be disappointed this time around, that the magician's amazing powers might turn out to be a scarf hidden in a sleeve. And I knew the punch line — the criminal's identity — already. But I was surprised and delighted to discover a whole new set of pleasures in The Moonstone. As a writer, I was struck by how masterfully Collins pulls together the different strands of a complicated plot. T.S. Eliot called The Moonstone "the first, the longest, and the best of the modern English detective novel." I could see why. Reading the book was a little like seeing the Wright brothers maneuvering their first aircraft, except there was no awkward bucking, no crashes. Many conventions of the detective novel that we take for granted — a mysterious crime that is systematically unraveled through a process of inquiry, a detective with unusual powers of analysis, the surprise when the criminal turns out to be someone unexpected — are being used by Collins for the first time. The plot with its hairpin twists held my interest and invited me to happily suspend disbelief, but it did not overwhelm the characters. The heroine, Rachel Verinder, complicated and stubborn, is unlike the "legless angels" popular in Victorian literature. The dilemmas she faces remain significant today: Should we marry where our passions lead us, or choose a life partner whose values are compatible with ours? If the person we love turns out to be a criminal, should we turn him in or allow someone else to be blamed? And Collins' portrayal of India is much more nuanced than I had credited him with. It is an Englishman who turns out to be the real villain of The Moonstone. By contrast, the three Indian priests who dedicate their lives to returning the jewel to its proper home in the temple, though they have nothing personal to gain by doing so, are positively heroic. A frisson of vindicated delight went through me as I came across this rare depiction of Indian moral superiority in a Victorian novel — and that was my ultimate guilty pleasure. My Guilty Pleasure is produced and edited by the team at NPR Books.